Would You Like to Become a Lion? We meet on the 2nd Wednesday of the month from September through May. No meetings June, July & Aug. 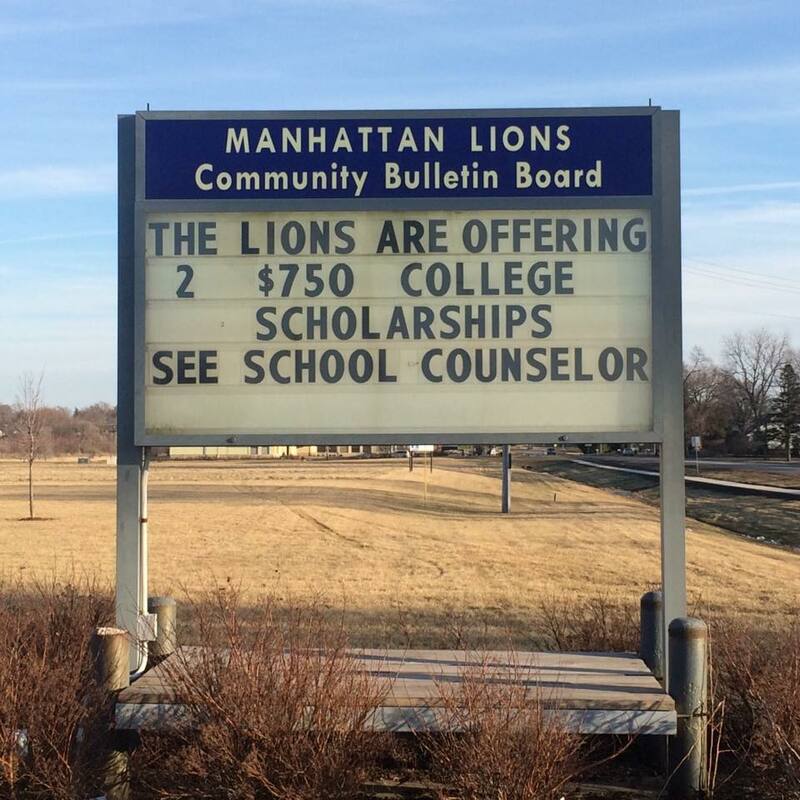 The Manhattan Lions Club is offering two $750 scholarships to deserving graduating seniors. Students must be a resident of Manhattan and plan to continue their education at a post-secondary institution. Applications are due Wednesday, May 6.